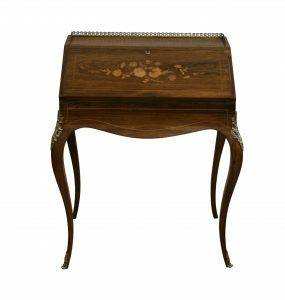 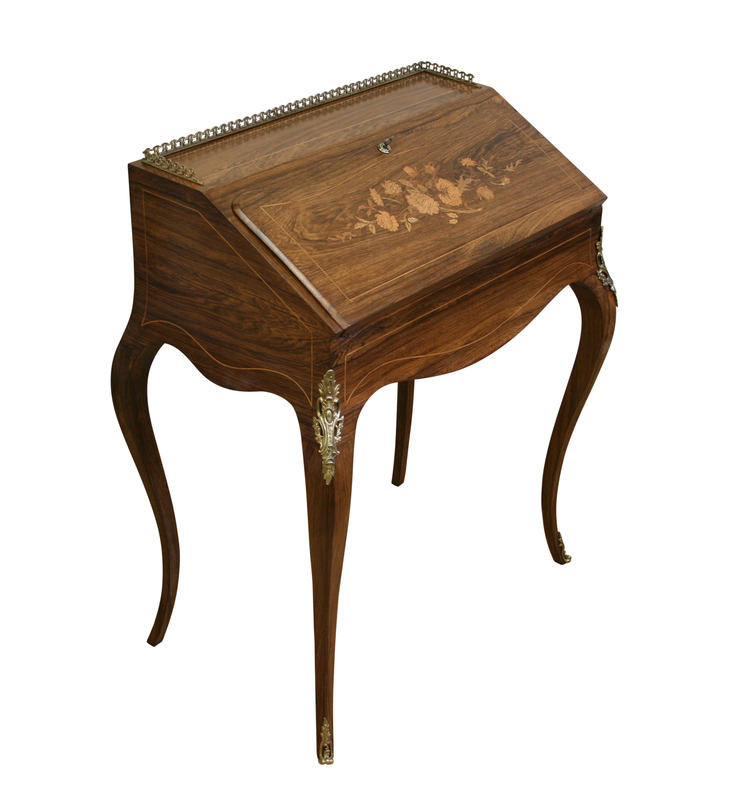 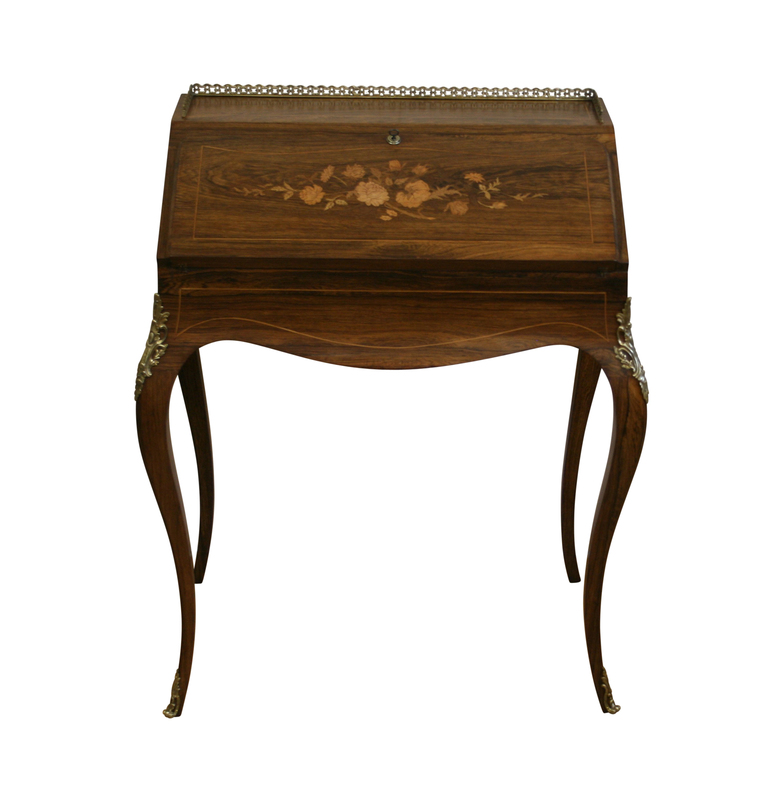 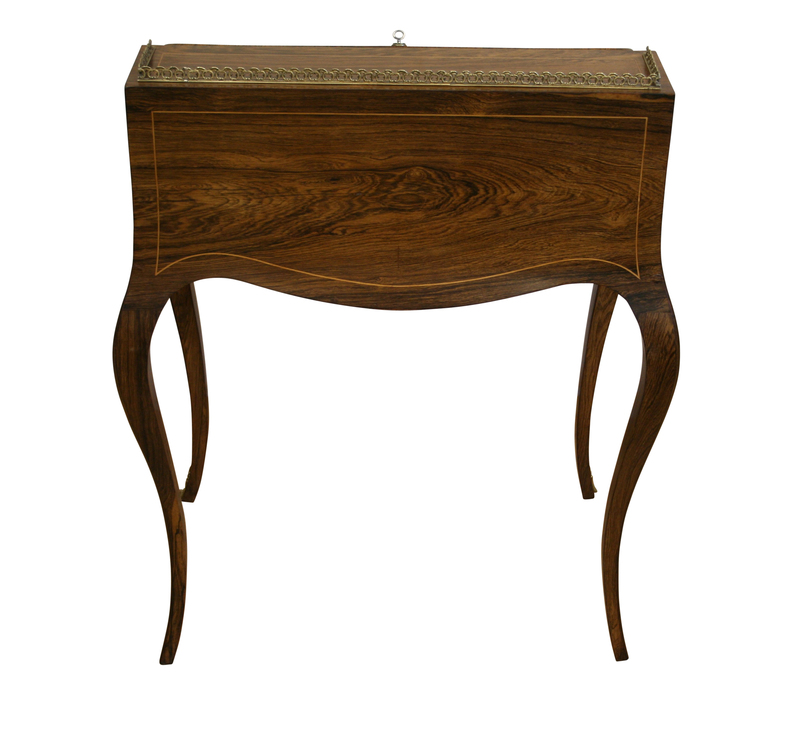 A French rosewood bureau de dame. 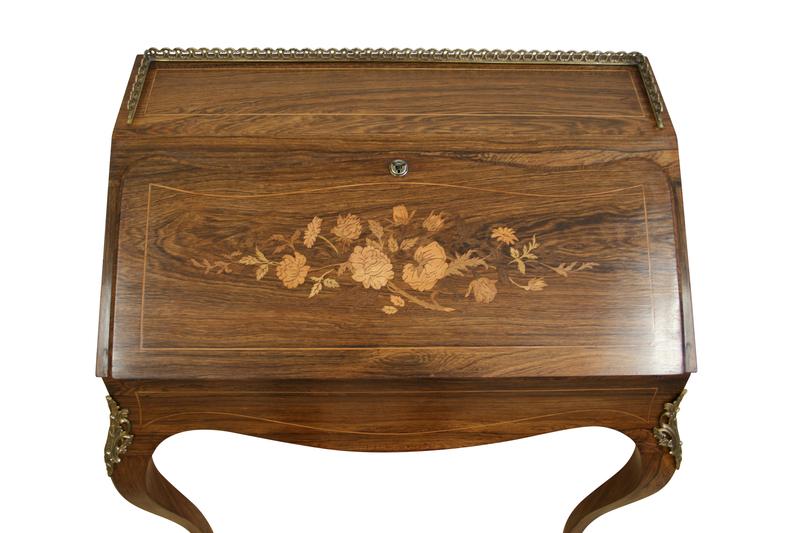 The top has a brass three quarter gallery, above a marquetry inlaid fall. 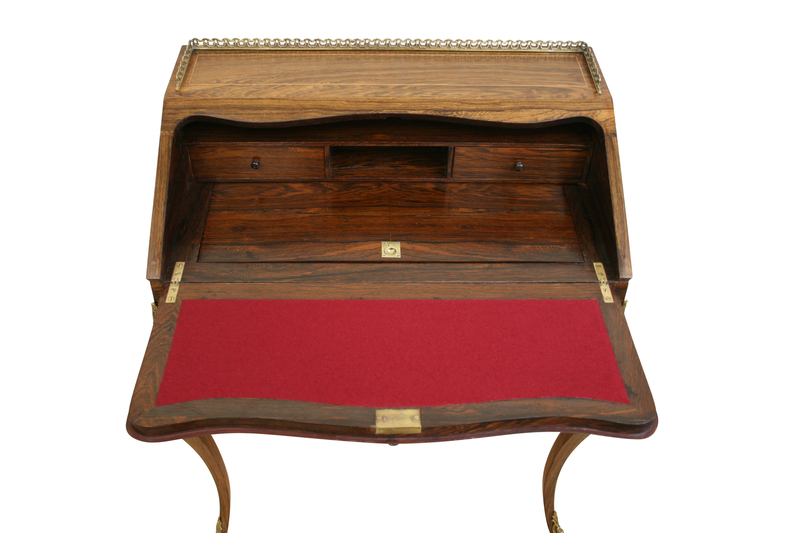 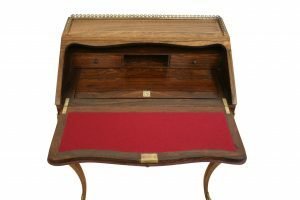 This opens to reveal an interior with baized writing surface, two drawers and a well. The front and sides are concaved with a shaped apron. It is raised on square section tapering cabriole legs with brass mounts.